The full moon is just reaching zenith as the clock nears midnight here in Baquba. Another eerily calm day has passed with little gunfire or explosions. I saw tracers piercing the sky but once today, and heard only one large explosion. The inclement weather of the last few days has completely cleared. The rains are gone and the muddy streets are drying, the night is bright under full moon. Perfect conditions for this particular enemy to attack. And yet the insurgents do not attack. Not yet, anyway. 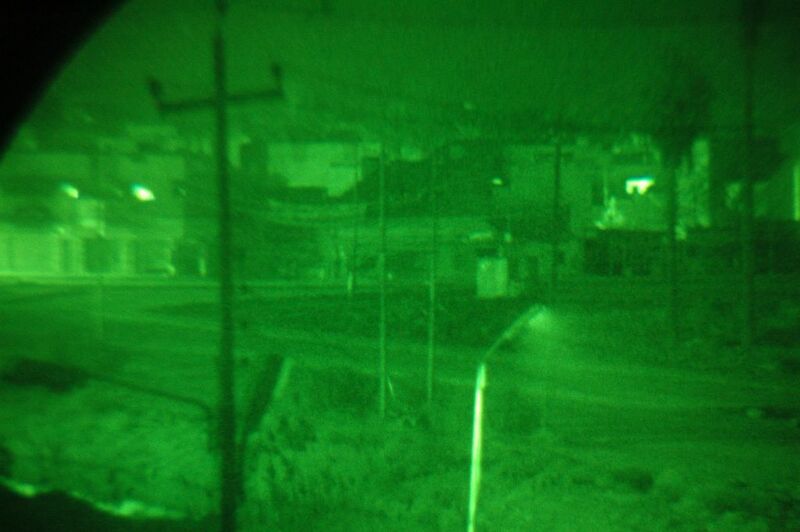 A US Army convoy is just now rolling in the gates after two successful raids tonight. Nobody knows why the enemy is not fighting back, but nobody thinks the insurgents have quit. The enemy must be biding its time. They are out there. Right now. Just down the road. Everyone knows it. But if the Americans knew exactly where the enemy was at this moment, the soldiers would be rolling back out the gates to attack them. Such is life here in Baquba. The Americans have been busy placing about 40 polling stations around Baquba. The approximate two hundred Iraqi police and other forces who have been brought to Baquba to mind the elections have left Forward Operating Base Gabe to assume stations in the city. A US soldier told me today that dozens of Iraqi police had lost their nerve, and were quitting and going home. The police did not want to face the insurgents in Baquba and the near certainty of deadly attacks. The American soldier said that an Iraqi commander became angry, took charge of his men, and convinced them of the importance of staying the course in Baquba. The men agreed to stay. The US troops here are especially alert, having lost five of their comrades in the past 24 hours in an accident nearby. The talk of the troops tonight was of sadness for their comrades who were just weeks from returning home after a hard year of fighting, only to die in an unfortunate accident. Yet there is no hint of reluctance among the 1st Infantry Division Soldiers in Baquba. Some of the soldiers are looking for one last fight with the insurgents. Many of the soldiers have grown compassionate toward the Iraqi population in general, making their animosity toward the terrorists that much keener, and they want to face the insurgents at least one last time before heading home. With the ever-more-bellicose threats of the terrorists to kill anyone who tries to vote, and the clear intentions of the Americans to kill anyone who tries to harm or threaten voters, there will be no surprises in the coming days when blood flows down the streets of Baquba.